Well, I've intentionally made the pansy flower in dark purple color as a ring to match my friend's evening gown. Yes, I'll give this to my friend as a gift. Anyway, I have mentioned in my previous flower tutorials that I seldom make a life-like flowers. 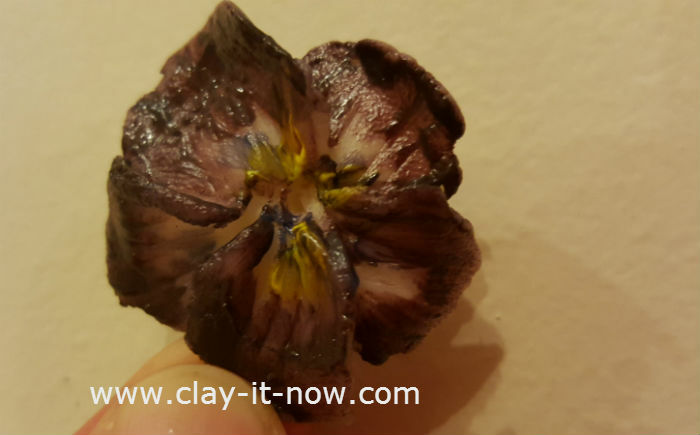 I would rather make decorative or functional clay flowers. 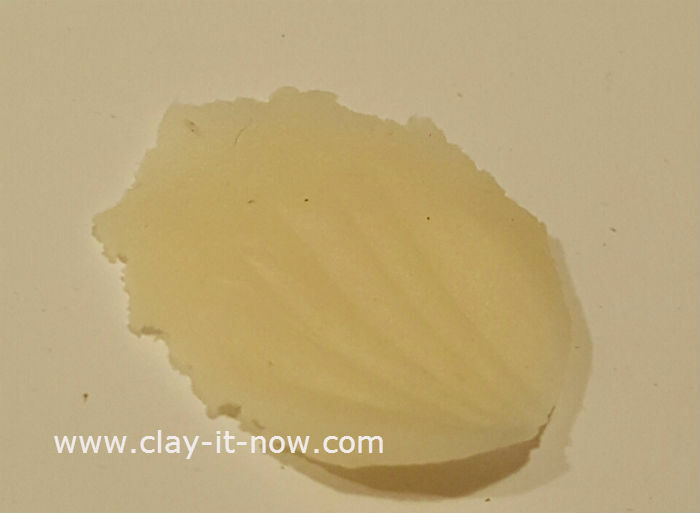 This time I use no cooking homemade clay. 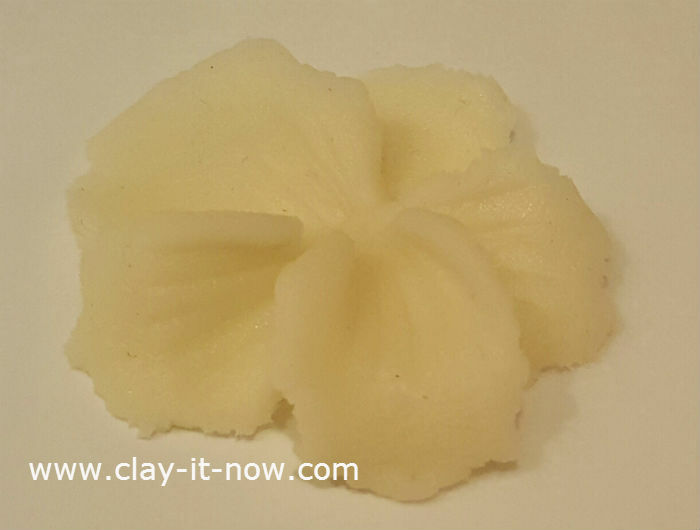 It has a look of cold porcelain clay with certain degree of translucency and feel like polymer clay. It dries hard and yet lightweight. 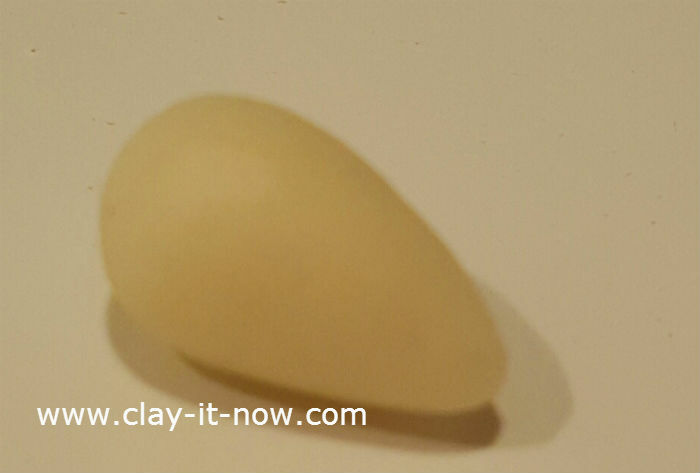 Let's make 5 teardrop clay shapes as a start. Flatten the teardrop shape on your palm by pressing it with your index finger. 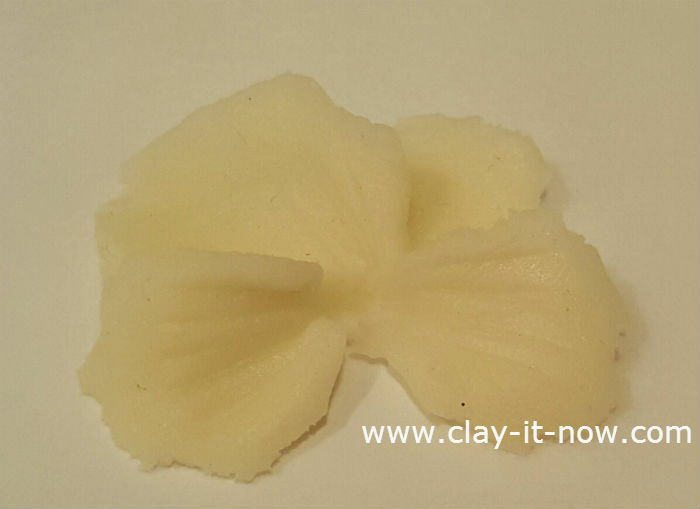 Use your clay tool to make the vein and pull the side of the petal randomly. Make 5 flower petals and arrange it by overlapping one to another. 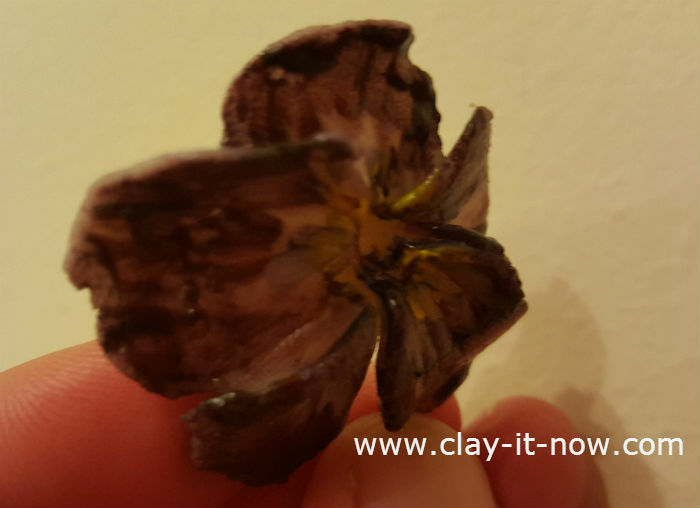 Add glue at the back of the petals. Here you can see that all five petals has been arranged nicely. Leave the petals for 1 or 2 days until it's dry completely. 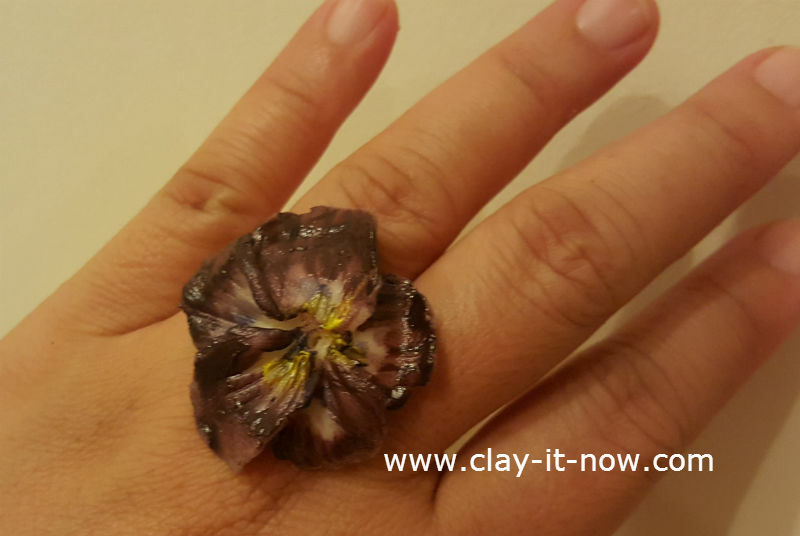 I wanted to use this flower as a ring, so I paste the flower to the metal ring base with super glue. By the way, I've used oil paints but you can use watercolor or acrylic paints to color the clay after it's dry. 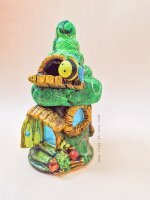 If you want to mix the paint color with wet clay, I would recommend you to use oil paints only. Otherwise the no cooking homemade clay may crack. Alright, here is my flower from front and side view. If you make this and would like to share your work with us, please use submission form at this page.